The frame of reference for their demands is always murky. Perhaps the union seeks to make up for some serious shortfall in current employment packages. But then again, the union can use its economic muscle to drive up wages and benefits for claims that lack any intrinsic merits. The inherent difficulty lies in the basic structure of the collective bargaining arrangements in Nevada, which are widely replicated throughout the country. The current system is wholly schizophrenic. 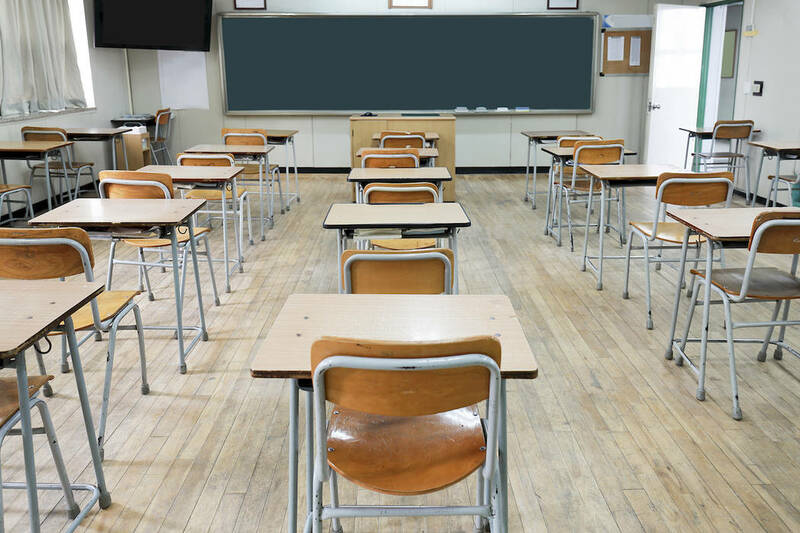 On the one hand, Nevada law treats the rights of teachers to bargain collectively as sacrosanct, so that every “local government employer shall not discriminate in any way among its employees on account of membership or non-membership in an employee organization.” Yet in the next breath, the Legislature declares that strikes, including slowdowns and unapproved absences, are flatly illegal. The law then lists a wide range of sanctions that can be brought against any union, it leaders or its members who participate in these strikes, including injunctions, fines and loss of position. Sadly, these two provisions cannot comfortably co-exist. When push comes to shove, the only way a union can make its voice heard is to strike, well knowing that local governments are loathe to invoke the available legal sanctions in response. The cold logic of the strike is impossible to deny. The union knows that strikes are generally more painful to school districts than payment of above-market wages. Any stoppage of school services creates massive dislocations in the lives of families with children. Union members sound belligerent because they are confident that if they play their cards correctly, the school district will cave and the union will get its way. Hence unions become expert at deciding just how hard to push and when to back off in these elaborate games of chicken. Is there anything that can be done to break this bargaining cycle? As a matter of standard political orthodoxy, the status quo seems beyond reproach even though it is broken at its core. There is little that anyone can do to instruct local governments how better to bargain within the current framework. What is needed is a conscious legislative decision to take back the bargaining weapons that unions should have never been given in the first place. In the private sector, unions have long been in retreat because the weapons of collective bargaining don’t work particularly well in a competitive market. The union that tries to hold up a given firm will find that both it and the firm will go under, as customers shift their business to nonunion firms. But teachers unions do not operate in a competitive market, because no school board can contract with a second union if its negotiations with the first union break down. The only way to break union power is to make sure the union is not the only game in town. One way to do that is for lawmakers to throw their full support to charter schools and other organizations that compete with unions. These schools, freed of union work rules and salary schedules, often provide a superior education at a lower cost—or perish when dissatisfied parents enroll children elsewhere. Unions know that they cannot compete against these leaner organizations, so they work over time, first to limit the number of charters, and then to impose onerous conditions on those charter schools that slip through the net. Indeed, we can go even further to ask why any state should bind itself by legislation to giving unions the economic clout that is used against students, their families and the taxpayers at large. All public bodies exercise their powers in the service of a public trust, which means they have to deal at arm’s length with suppliers and employees alike. And they cannot discharge that duty if they voluntarily confer monopoly power backed by the strike threat on any such union. The basic maxim in all these cases is that public property, including hard cash, should not be given to any private party unless the government receives services that are a fair equivalent in value for the fees and other benefits that these groups receive from the state. If these changes are made, the benefits could be large. Former Gov. Scott Walker of Wisconsin secured passage of Wisconsin Act 10 in 2011 after a huge battle. That act did not eliminate unions, but it severely limited union powers to great positive effect. And it is easy to see why. With the right kind of reform, the cut in union power should allow school boards to introduce differential pay scales, allowing, for example, sought-after teachers in the science and mathematics to receive higher wages. And there is no reason whatsoever to allow seniority provisions to compromise effectiveness, so that teachers past their prime continue to gather premium wages while younger and better teachers go elsewhere to command higher salaries. The problem here is not just how to deal with unions in the short run. Getting the right solution to teacher hiring is also critical for the long-term stability of public institutions. It is no state secret that teachers receive not only wage packages but pension and health benefits as well. These items of deferred compensation are forced onto the next generation of public officials and taxpayers. Yet there is an inveterate tendency to underfund these future obligations, so that today’s shortfall turns into tomorrow’s crisis. Any sound regime has to secure adequate payment for future benefits out of current budgets. But that simple standard of fiscal prudence cannot survive so long as the current statutory regime lets these obligations go underfunded. Once again, it is business as usual—to the great detriment of the students and taxpayers of Clark County and elsewhere. The problem won’t be solved by last-minute appropriations and concessions. A major structural reform is needed to stop these problems before they arise. The change will cost large amounts of political capital. But the expenditures will be well worth it. Richard A. Epstein is a professor at the New York University School of Law, a senior fellow at the Hoover Institution and a distinguished service professor of law emeritus and senior lecturer at the University of Chicago. His Review-Journal column appears monthly.